Today we’d like to introduce you to Susan B. Stern, LCSW. While finishing up my undergraduate degree in Psychology, we were asked to create an organization. 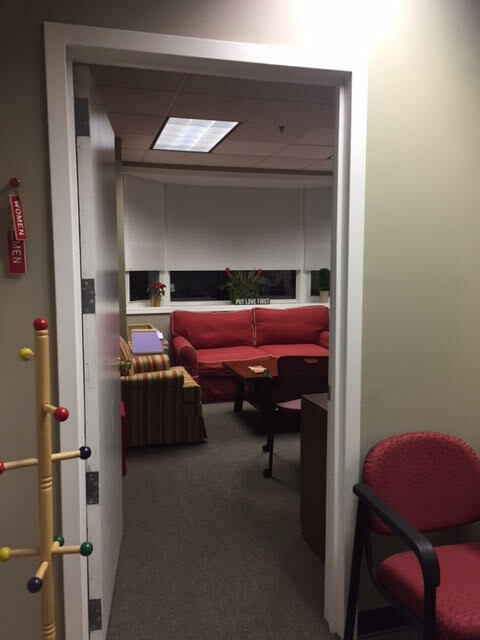 I felt the need to create a family center offering services to parents and children. After graduation, I married and began a family young and I became a very busy mom to three children. So I filed that idea away for a later date I suppose. While being a stay at home mother to three young children in the 80’s, I began to volunteer my time a few places. One place I volunteered was the North Suburban Jewish Community Center. While on their Board of Directors, (I was on the committee setting up programs for children.) we would visit their partners. One partner, the JCB Therapeutic School, which was managed by JFCS, Jewish Community and Family Service (Now Jewish Child and Family Service) provided(s) trusted, innovative and individualized care and support for children, teens, adults, and families of all backgrounds across Chicagoland. Their services included counseling; developmental, cognitive and behavioral testing, assessment and therapy; special education, special needs camps and recreation opportunities; services for people with disabilities and their families; child welfare, foster care and adoption services; and Jewish community programs and education. While visiting the JCB therapeutic school one afternoon I had an epiphany and a strong wish that I would rather work directly with the kids I saw in that school. Soon after, I contacted many graduate school programs, wanting to return to school to attain my Master’s Degree in Social Work so to work directly with the children, vs. being on the Board of Directors. That was the very beginnings for me. I returned to graduate school and during that time I did my clinical training at JFCS who manages the JCB schools. It all fell into place naturally. After graduation, I took a job in research at JCB. I was hired for cognitive and behavioral testing assessment. I also stayed in school one more year to attain my license in School Social Work. I worked in schools only two years before being in private practice with another person, and then going on my own a couple years later. I was hired for that private practice to facilitate Social Skills Groups. I began to develop a great group format while there. When I opened my own practice in September of 2006, just a couple months later, the Avoca School District 37 contacted me to work in their school two days each week. They needed a Social Worker to facilitate groups in their K-5 school and in their Jr. High school. I gladly took the job and worked in my private practice as well. 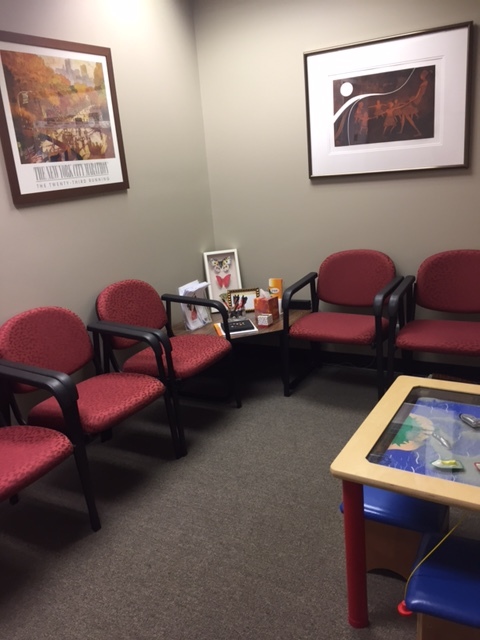 In my practice, I saw individuals alone too, ages, pre-school-young adult and parents, as well offered many groups for children of all ages. While in the Avoca School District working, the Social Worker only gets 30 minutes to see a child individually or to facilitate a group. I had to really structure my group format, so to use the 30 minutes’ time, (short amount of time) the best possible way, offering help/support to the kids. I also used a child or two in each group who were not having a difficult time working in groups. These extra kids connected well with others and were getting along well. I would get a signed consent from the parent(s) so their child could be in a group as a support child for other kids. My group format and structure evolved and it offered such wonderful support for the kids of all ages. I also had many parent groups when I first began. These groups offered support and coaching on parenting. Finally, there was such a need and there still is for Social Skills Groups. One of my own three children was chosen his junior year in High School to be a Peer Group Leader for incoming freshman kids the following school year. This is when I decided to use kids from the community to become Peer Group Leaders in my private practice groups. I saw it worked in the Avoca Schools, it worked when my son supported other teens. I also strongly felt on the North Shore overall there are not enough expectations of the children, teens, and adolescents to give back to the community. Of course, certain families, religious schools and the High Schools would offer this activity. But honestly speaking, also being a product of the North Shore myself, just not enough of this was occurring. And it is still not occurring enough. So, the Social Skills Place, Inc. also offers this program, a place growing kids, teens and adolescents can give back to help support others who have a difficult time with peers. It has only become a “Win-Win” for all involved. Mostly it has been a smooth road. One year, maybe five years ago, I reached out to a Social Worker who I knew in a nearby school. I needed a few more Peer Leaders. Unfortunately, for me, she sent an email out to much of the school, that I needed Peer Group Leaders. I became inundated with calls and emails from parents who wanted their child to get hired by me. This was a bump in the road for me, and ended up hurting me since many parents got angry with me if I did not hire their child. I only needed a few Peer Group Leaders that was all I needed. I did not have a place for 25 new Peer Group Leaders. And naturally, I could not take all the kids who wanted to work for me. I felt terrible turning away kids who wanted to help me out in my groups. I regret the experience, thinking back, wishing the School Social Worker understood that I only needed about six kids more to work for me. Let’s just say I learned a lot from the experience. Some of those hired kids still work for me today. I have to be very selective who I hire to work for me. These kids are setting examples just by being themselves. Some kids are better at this sort of volunteer work than others. And I need a complete commitment from the volunteers and their parents. The kids must attend the weekly sessions. I also have the kids sign HIPPA Laws before they begin the work for me. Please tell us about The Social Skills Place, Inc.
At the Social Skills Place, Inc. we work both with children and their parents, specializing in teaching social, emotional and organizational skills in a structured environment (through the utilization of Social Skills Groups or individually with either child and/or their parents). We offer solution-focused group work with children. We offer the children a place where they can learn to make friends as well as a place they can experience joy, stressing solutions rather than weaknesses or problems. 1. I use Peer Group Leaders in my groups. And, I do not place just any kids together. I carefully place kids together so the group serves them well, and they can feel better about themselves, become successful in their days, and with their peers. One favorite memory from my childhood, when a certain baby-sitter Karen (who was so kind and sweet), gave me pearl earrings for my birthday. She made me feel really special and really good about myself. Moral to that story: Children of all ages need to feel good about themselves. Feeling special, loved, beautiful inside and out, and just good about yourself, helps kids attract good experiences into their lives. Address: The Social Skills Place, Inc.